Pearls have been a symbol of timeless beauty and elegance for centuries. Queen Marie Antoinette had a collection of pearls which at the time were the world’s most valuable gemstones. Pearls are classic, they never go out of style and can be worn for any occasion. However, pearls are extremely delicate and require special care to keep them looking great for centuries to come. 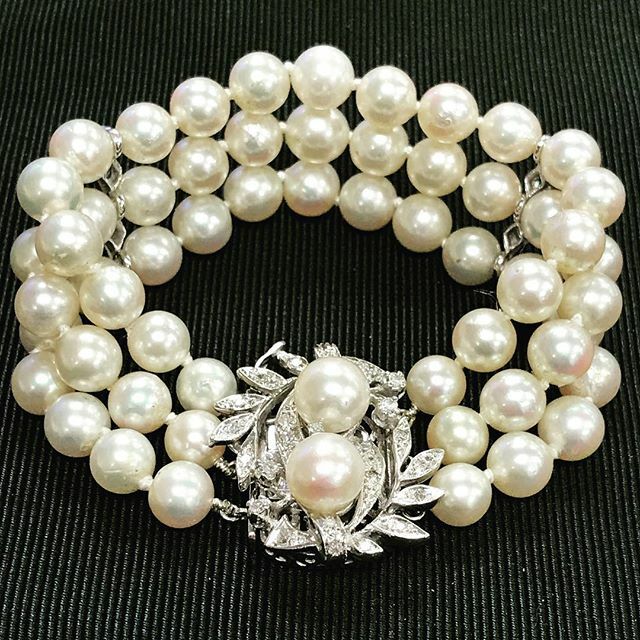 It is important to avoid using chemicals and abrasives that can permanently damage your pearls. Products like hairspray perfume and makeup can dull the luster on your pearls leaving them looking dull and weakening the thread the pearls are strung on. Make sure your makeup and hair are complete before you put on your jewelry and clean them using a soft cloth when you take them off. Since pearls are easily scratched and damaged, we recommend that you store your pearls in pearl folders or by wrapping them in tissue paper before putting them away. NEVER store you pearl jewelry loose with other jewelry to avoid chips and scratches. If you wear your pearls often, we recommend having them restrung once a year to make sure to keep them looking their best. Treat your pearls like the treasures they are and preserve their beauty for the next generation.